“On March 8, 1975, the Portland Timbers were born.” The Timbers moniker won out over Pioneers, RainDrops, and Steelheads, to become the official name of the inaugural 1975 soccer team. With a hastily assembled squad of players, the freshest faces in the North American Soccer League were able to turn a slow start into a dynamic season, vying for the championship and winning the hearts of Portlanders in the process. On March 8, 2012, author Michael Orr will be joined by Timbers’ players Willie Anderson, Roger Goldingay, and Mick Hoban at Powell’s Books in celebration of the newly released The 1975 Portland Timbers: The Birth of Soccer City, USA (History Press 2012). If you’re heading to the Portland Philadelphia match on March 12 to kick off the start of the MLS 2012 season, you’ll want to start with a bit of Timbers history. 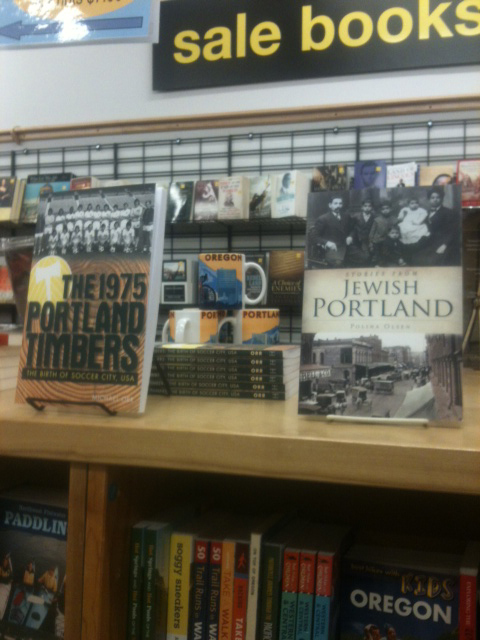 Meet the author at Powell’s Books at 7:30, or drop by any time to pick up your very own copy of The 1975 Portland Timbers. Visit the events page at www.powells.com for more information.